Lately it was the time that I had to replace my old PDA with something new because I dropped it one time too much on the floor. Because we had business in Shanghai and found a shop with “original” iPhones we decided to switch to iPhones. The first question when you buy something like an iPhone in China is: How can you be sure it really is an Apple iPhone and not a chinese clone? 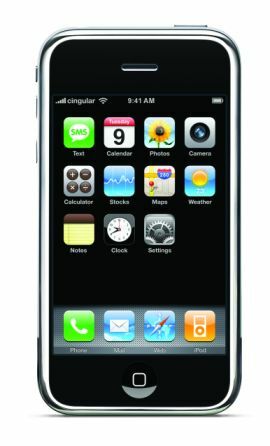 First I would suggest to search for some detailled pictures of original iPhones, they are very slim and have a characteristic position and border of the embedded camera. But I think the easiest way to identify an iPhone is the software on the phone. If you make a photo with the phone and scale it with the multi-touch ability of the iPhone the image scales and corrects the image resolution at the same time so that you can hardly see pixels while zooming. So we went into this shop and in total bought 3 iPhones. The iPhones were neatly packed, seemingly in original, brand new boxes and my test showed that they were real Apple iPhones. Before I bought the iPhones I didn’t now anything about jailbreaking and unlocking. I just tried my chinese and my german SIM card in the phone and both worked. Back in the hotel the problems started. I reconfigured my phone and it didn’t work with any SIM card any more. So we went back to the shop and they made it run within 5 min and gave it back to me. While leaving they told me better not to update the software on the phone myself which finally made me really curious and back in the hotel I started an internet research to find out if the iPhones where original ones. Especially the Apple Service and Repair webpage was very helpful. One of the iPhones was a replacement part without any guarantee, the other two were already several month old. Conclusion we bought refurbished iPhones sold as new ones. When the battery life of the replacement part showed that the battery was already quite old we decided to go back to the shop another time and ask the sellers directly about the fact that they hid that they sold refurbished iPhones. The result was not really satisfactory. They changed the replacement iPhone with the damaged battery to another one but that was all. Because one of us was really pissed off, she called the police later to ask them what to do. The police forwarded us to a special unit which deals with these matters and they told us that only China Unicom is allowed to sell iPhones in China and therefore they will do nothing about our case. After we got this information I finally understood what happend to my iPhone which suddenly didn’t work any more and had a closer look on the installed software. 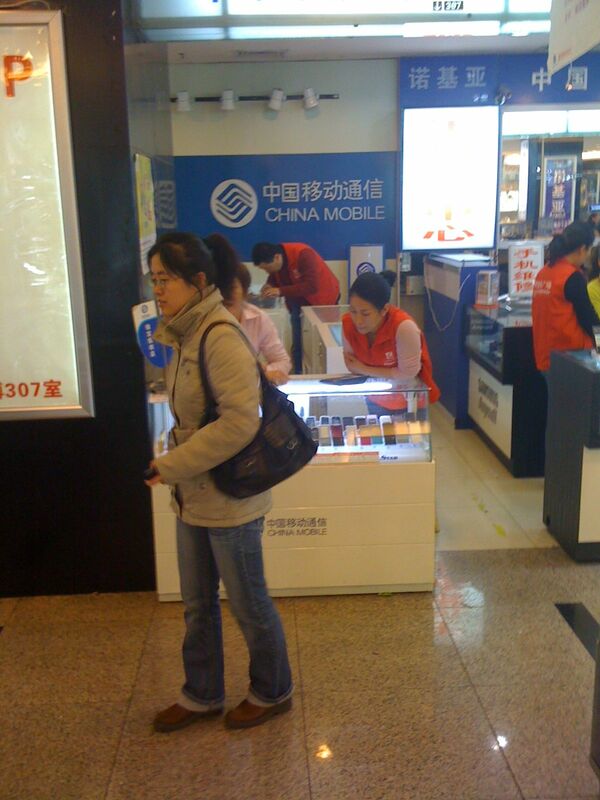 The iPhones were original China Unicom phones which have been jailbreaked and unlocked! As final resultI can only warn you to be aware that most phones, even in official China Mobile Reseller Shops like the one where we bought our phones, are fakes or refurbished. This puts the price we payed into a complete new perspective! This entry was posted in Around the World, China and tagged China, iPhone. Bookmark the permalink. It’s an open system (unlike the iPhones and whatever i-devices there are, you can replace the OS by customized ROMs etc.). You have a (basic) Linux on it and developing applications is done with Java. I am very happy with that device (even though it’s my first non-SE phone since 9 years, but that’s another story).